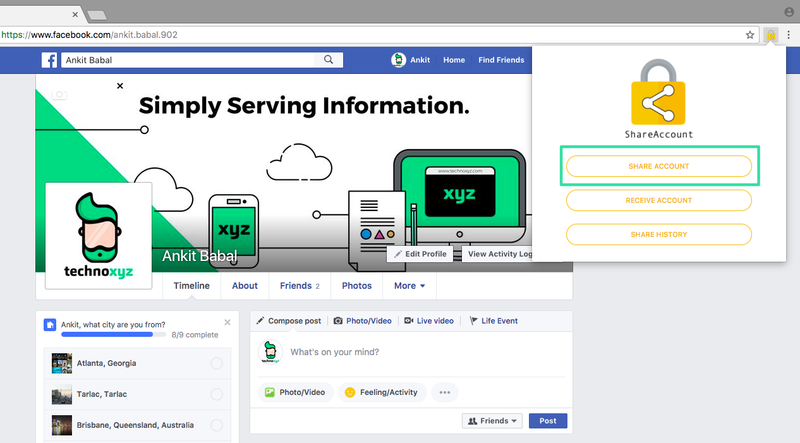 Hello friends, today I’m going to tell you how you can share your Facebook account, Gmail account and basically any other account with anyone you want to without giving away your password. 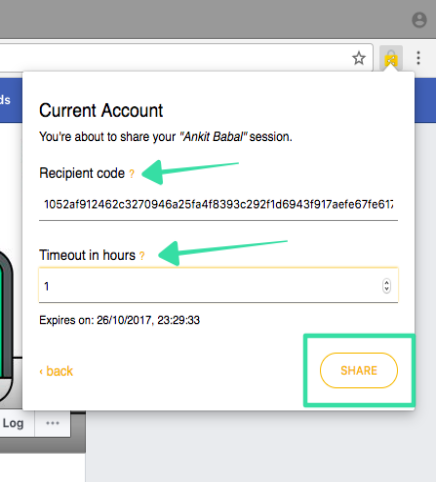 For this trick, you need to have Chrome browser installed because you will have to install a Chrome extension called “Share Account”. 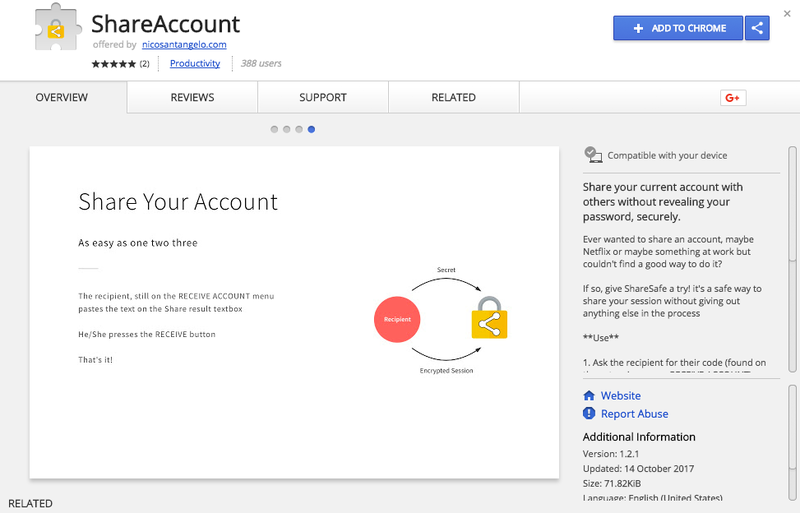 Step 1 – Install “Share Account” Chrome extension from here and make sure the other person you are sharing your account with also has this installed. 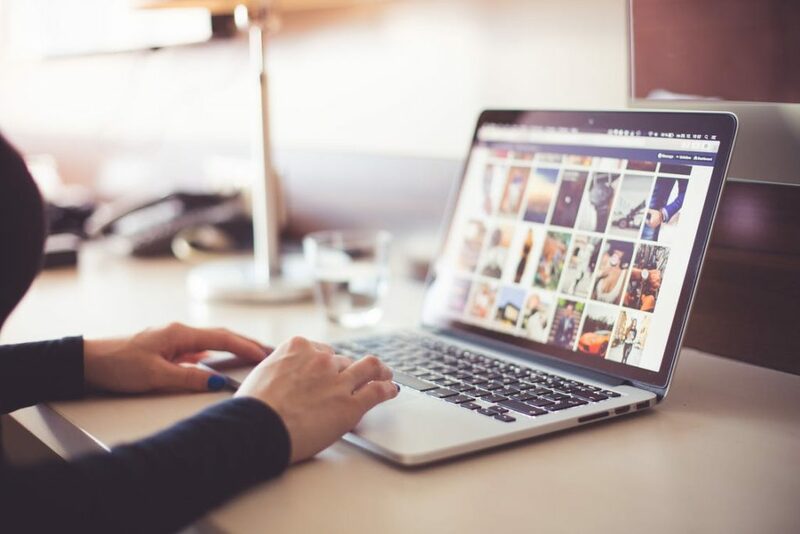 Step 2 – To share your account access, go to the website that you want to share access of, for example, You want your friend to handle your Facebook for one hour. Just go to facebook.com and click on this Chrome extension icon. Then click on “SHARE ACCOUNT”. Step 3 – Now you need to ask the other person for their computer code (the receiver). So the receiver will need to open the Chrome browser and click on the Chrome extension icon and click on “RECEIVE ACCOUNT”. After all that he will get a code (Your code), he will need to share that code with you. 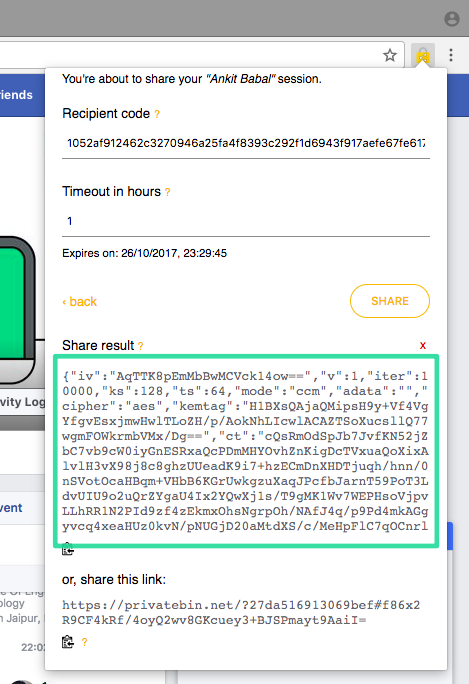 Step 4 – Paste that code in “Receipient code” box and select the time you want to give them access for, for example 1 hour, 2 hours and click on “SHARE”. 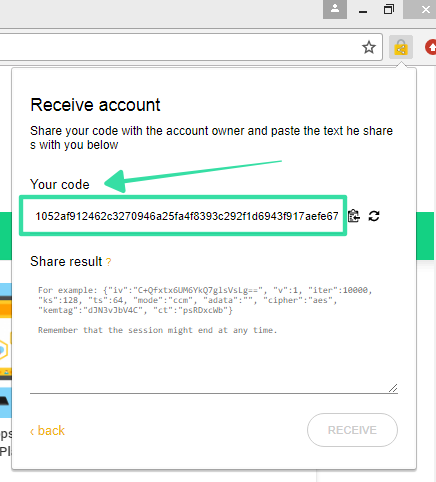 Step 5 – You will get a little code here (Share result) that you will need to send to the other person. Just send the code to your friend (the receiver). 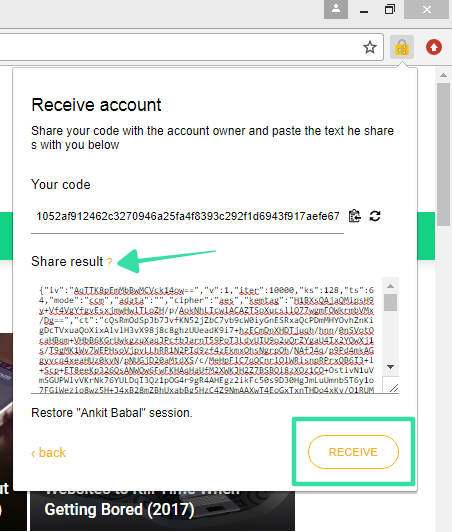 Step 6 – Your friend (the receiver) will need to paste the code in “Share result” box and click on the “RECEIVE” button. That’s it, the session is restored here. There can be several times when this can come in handy like you have a very embarrassing password like “I love Dhinchak Pooja” or you’re sharing your Netflix or Amazon subscription. Hope you liked this trick—let us know what you think in the comments below also share it everywhere you can.